Official acknowledgment that the Provisional IRA still exists, albeit in a form distinct from the years when it was engaged in armed conflict with the British state, has led to calls for the resurrection of an independent group, separate from the PSNI, to once again monitor Northern Ireland’s paramilitary ceasefires. I first interviewed Alderdice in early 2010 as part of the research that I have been doing on the maintenance and durability of the peace process. One of the issues I was interested in understanding was how the Provisional Movement had managed to bring so many of their volunteers along as the transition was made from armed struggle to constitutional politics. What Alderdice argued to me helps put the recent revelations of the continuing existence of elements of the Provisional IRA into context. Keeping intact a command structure, he contended, was essential to keeping volunteers on side even as the military structures that had prosecuted the war were being wound down. And people stopped, not necessarily because they immediately thought somebody was coming into the back door but because there was that sense of authority. First, that the Army Council carried sufficient authority that when they ordered volunteers to stand down from a military posture and transition from being members of an underground army into above-ground political workers, those orders could be expected to be obeyed. Second, that the volunteers that made up the ranks of the Provisional Irish Republican Army were sufficiently disciplined that they would, on the whole, follow the orders passed down from their leadership. They followed orders not out of fear, but out of loyalty. 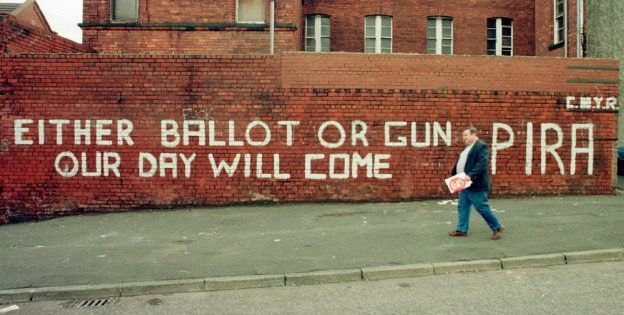 In 35 years of armed struggle, the membership of the IRA never let the leadership down once. Anything that the leadership asked for they got. They might not have got it to the degree or as quickly as they wanted but they got it to the best of the ability of the volunteers within the IRA. What happened from 1994 onwards was a failure of leadership not a failure of the IRA. It was a failure of the people who made the decisions as opposed to the people who were prepared to honor their commitment to the liberation of Ireland and were quite prepared to do it in a different fashion. In August 2005, all volunteers were informed that they were to report in to the chair of their local branch of Sinn Fein, and all their future activity would be directed by Sinn Fein. Some who disagreed with the decision simply walked away. A few, like Catney, became critics of the Provisional Movement and the political direction its leadership had taken it. And a smaller fraction subsequently threw in their lot with one or another of the armed dissident groups. Crucially, what those armed dissidents haven’t done is go after the leaders that they accuse of betraying Republicanism. If the IRA had gone away, as so many chose to believe, why hadn’t the dissidents moved against those leaders whom they charge with selling out the cause of Irish freedom in exchange for the Queen’s shilling? They haven’t the guts to take the Provos on, because the Provos will put them to bed. And in fact, it is ironic. It is because the Provisional IRA is effectively over in a meaningful sense that these guys popped their heads up. Because otherwise they’d have got their heads cut off. What Alderdice seemed to be arguing back in 2011 was that the PIRA retained enough military capability to defend itself were it to be challenged directly by the dissidents. What it had not given up, however, in standing down from its wartime footing, was an ability to prevent open challenges to its authority. This, added to what we have learned after the last several weeks, seems to me to offer a compelling explanation for the current landscape of “alphabet soup” IRAs and their apparent unwillingness to move against a leadership whom they have branded the worst kinds of traitors. The Provos can still “put them to bed” if they try it. 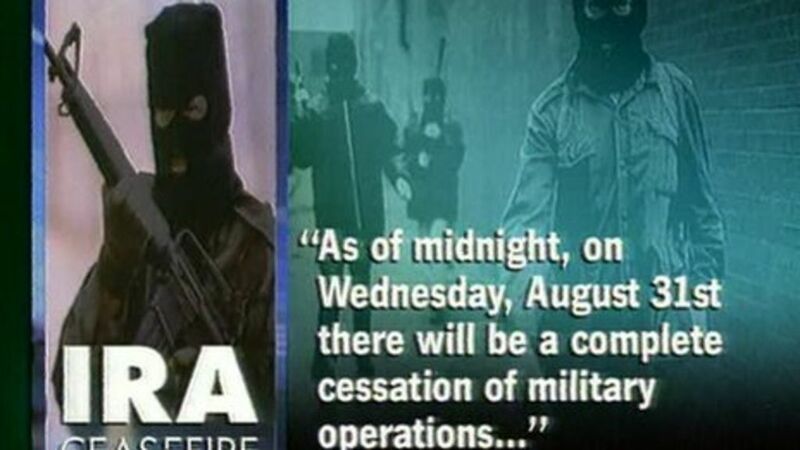 Four sets of quotes spanning 16 years on the Provisional IRA and its ceasefire. In each case emphasis has been added by me. Belfast Crown Court was told the attack in February 2004 was meant as a message to Tohill not to oppose the then fledgling peace process. Individual members cooperated in shooting dead Kevin McGuigan in East Belfast but organisational structures have brought members of the outlawed organisation along the path of peace, Police Service of Northern Ireland Chief Constable George Hamilton said. But if you listened to Bobby Storey back in June 2014, you knew all this already.